The Cambridge Satchel Guide. I’m smitten with Cambridge Satchel’s high quality leather and the iconic design. You can easily spot them from my outfit posts. 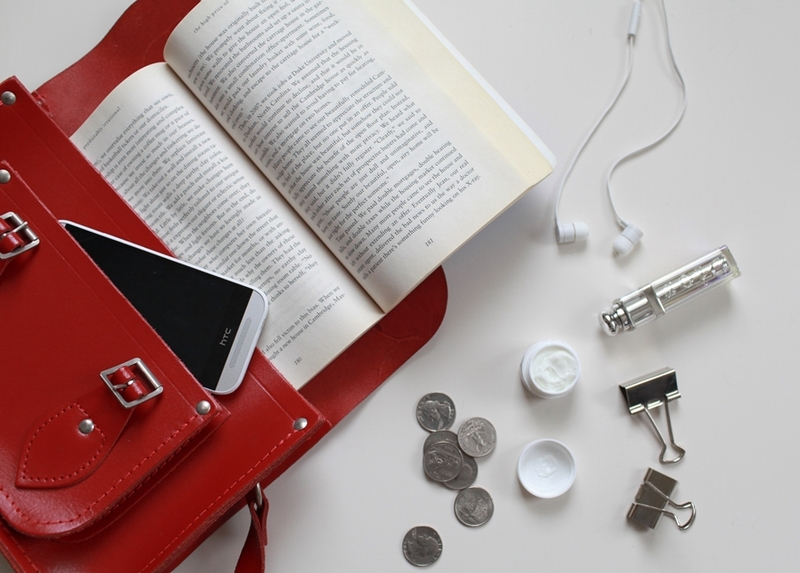 Cambridge Satchel is more than a fashion accessory. To me, their timeless design represents a specific attitude and lifestyle. I have had mine for a couple of years and I carry them almost everywhere. I thought it’s about time to share my review, size guide and how I style them. The 11″ satchel is my first Cambridge Satchel purchase. I own the same style in classic red and cream just because I love them so much. For the compartment, there are one main big and one outer small compartments. 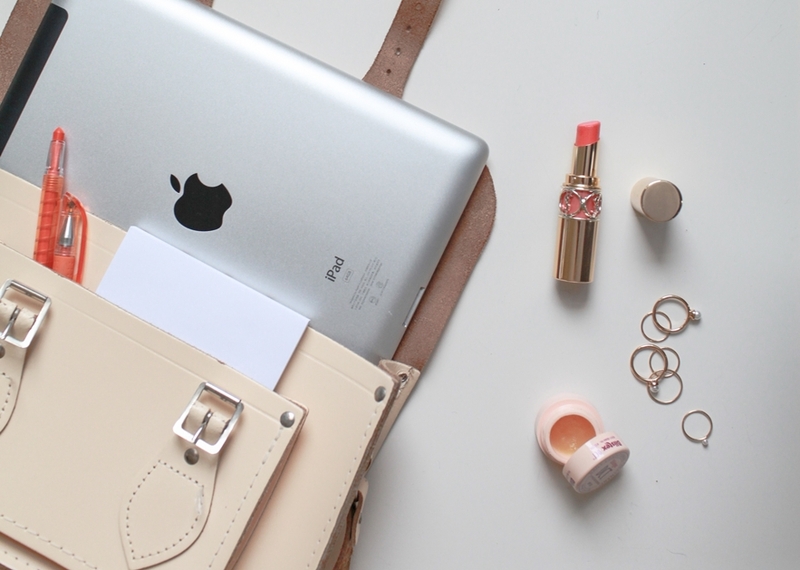 My 10″ iPad fits well, along with my lip stick, cell phone and wallet. 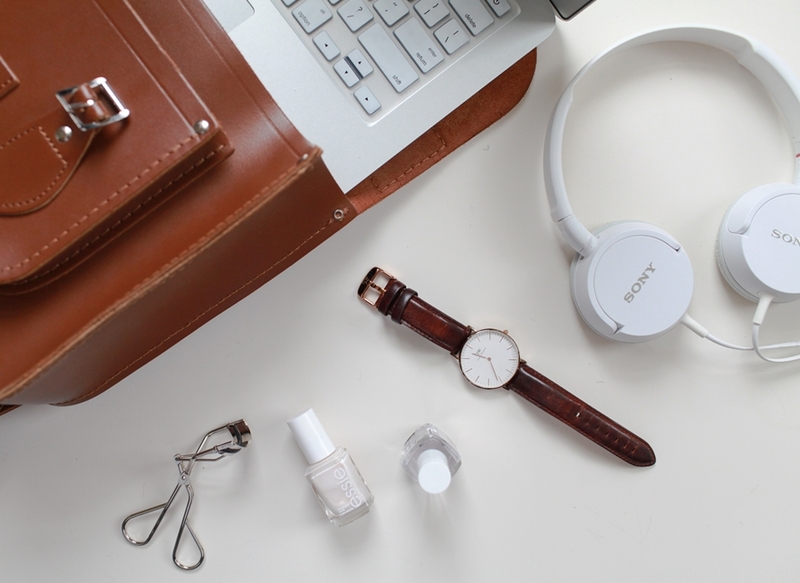 The 11″ satchel is the perfect size for everyday essentials. Aside from the size, I love how versatile the adjustable shoulder strap is. Carry it cross the body for a classic preppy style or hold it as a clutch for a clean and refined look. Also, I have to say the nickel buckles on the bag are not easy to fasten and unfasten. I personally don’t mind it but some people complain about this traditional buckle-closure design. I usually have one or both buckles undone instead of fastening carefully. As the bag is made 100% leather, it doesn’t have an inner lining. Shopbop is now offering free global shipping on orders over $100 or you can shop Cambridge Satchels at Asos as they have unlimited free worldwide shipping. My third Cambridge Satchel is the 14″ leather backpack in vintage tan. The main compartment is pretty spacious. I fit my 13″ Macbook Air, cell phone, portable charger, purse, and an assortment of cosmetics. The additional top handle makes it more practical. The color vintage tan is such a timeless and elegant color. It’s easy to go with lots of other clothing. The high quality of leather makes the bag very durable and structured even after extensive use. So far, all the bags I have from The Cambridge Satchel Company are still stiff. The current Portrait Backpack is the same size as the 14″ and has the convenient magnetic buckles.